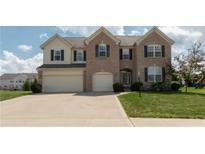 Below you can view all the homes for sale in the Woodcreek Crossing subdivision located in Avon Indiana. 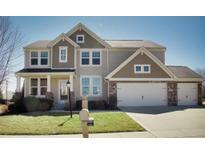 Listings in Woodcreek Crossing are updated daily from data we receive from the Indianapolis multiple listing service. To learn more about any of these homes or to receive custom notifications when a new property is listed for sale in Woodcreek Crossing, give us a call at 317-987-2530. This one is a must see! MLS#21629322. Carpenter, REALTORS®. See, Look, Love, Buy and move! MLS#21629608. RE/MAX Legends Group. This 4 bedroom 2.5 bathroom 2 car garage home has it all! MLS#21624272. Drees Homes. Today's latest looks! Avon Schools! MLS#21623232. Carpenter, REALTORS®. Wonderful high efficiency gas fireplce. basement is plumbed for bath MLS#21622406. Brown County Vacation Homes. This home has been very well taken care of and move in ready! MLS#21611902. Keller Williams Indy Metro NE.